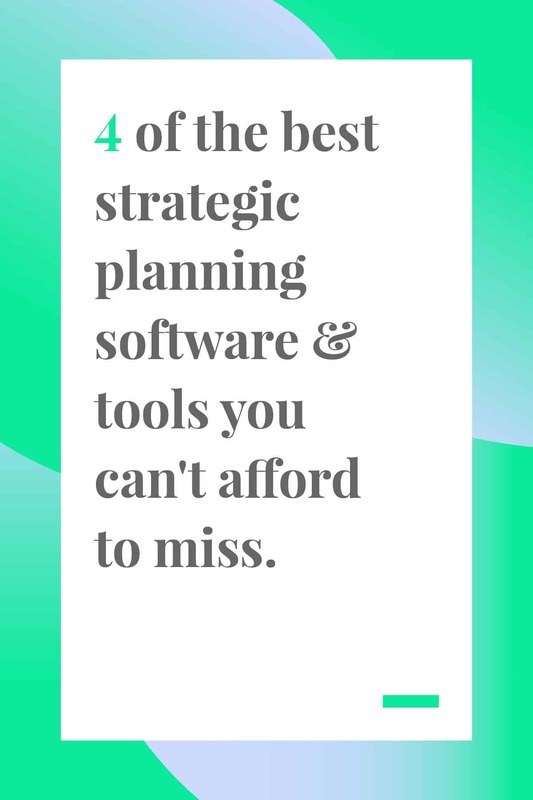 When you start searching for a decent strategic planning software, it either doesn’t offer enough features, or it’s too expensive. One might think it would be a miracle if there were a software that provided a feature-rich interface at a reasonable price, right? Don’t worry, there’s a solution. Teamweek is a homerun as far as project planning softwares go. You’ll be able to easily create a timeline using a simple Gantt chart. Teamweek is easy to use, so you’ll have no trouble getting your team on board with the software. And your team will love the visual overview they get of the workload. For strategic planning, try Teamweek’s project view. In project view, you can divide a project into segments. Each segment can hold multiple tasks, and each task can be assigned to someone on your team, which will help you stay organized. Teamweek is free for up to 5 members and offers great prices around for teams as small as 10 or as big as 200+. 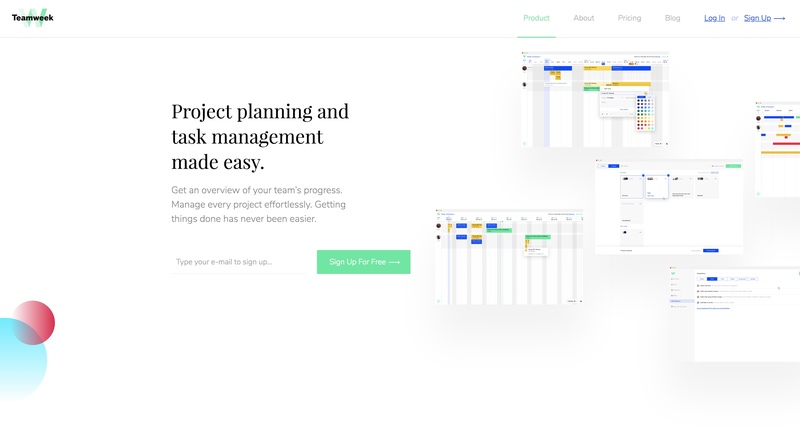 The price in combination with all the features makes Teamweek a must-have for any project manager. This might sound like the next installment in a Keanu Reeves movie. Unfortunately, it isn’t. What it is, however, is a tool used by project managers world wide to break down projects. SWOT stands for strengths, weaknesses, opportunities, and threats. Most of the time, project managers will set this acronym up in a grid matrix, so they can expand on each subtopic. You and your team will come together and begin to list each and every strength, weakness, opportunity, and threat that you all have for the given project. The SWOT matrix is a simple and effective way to get your team thinking ahead of the game, and it’s a great team building exercise that could be done at the beginning of every project. There are many places online that you can get free strategic planning templates, but you can also create your own to abide by for all your projects. This is where you summarize the rest of your plan. The reason this is first is because it’s like a table of contents. You’ll be able to read over it briefly and quickly find what you’re looking for. Discuss what the goal is at each deadline. Go over the tasks that need to be complete as well as when they should be completed. Make absolutely sure everyone knows their role in the project before it even begins. You don’t want anyone stumbling around in the dark. 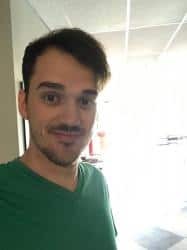 List the performance indicators such as unique views, sales records, number of people that sign up for your product, and anything else that gives you business. It’ll help determine where your business stands financially and what steps you should take next. Customize your template as you see fit. There are many other topics you can add if you need. No team is the same, therefore, no template is the same, either. It may seem difficult to answer questions like that now, but that’s part of the exercise. Think ahead to where you want your team to be in 5, 10, or even 20 years. This will help you focus on the end goal and narrow in on your target. To start, think of a goal. An example could be, “By 2025, I want to be a 50 million dollar company.” Once you all agree on a goal, start thinking of ways to get there. Be specific and detailed as much as you can. Name off contracts that could get you there, clients that you should land, and opportunities that will lead the way. There are a lot of strategic planning softwares and tools out there for your benefit. There might even be some that you use that you thought of yourself. The point is that there are new strategic planning softwares, techniques, and tools for you to explore every single day. Make it a point to try new ideas and see how they work with your team, but don’t stray too far from what you know works.